Lahore: Based on comprehensive tests carried out by 2 independent international food testing laboratories at the behest of the Punjab Food Authority (PFA), Haleeb’s UHT treated packaged milk was found fully meeting the specified quality standards, thereby negating all baseless rumours of recent months about its quality. It is to be noted that Haleeb’s packaged milk was tested earlier in the year also on the orders of the Supreme Court and had cleared those tests too, based on which the Supreme Court had declared Haleeb milk fit for human consumption in its March 9, 2017 ruling. At that time the honourable Court had instructed the PFA to conduct another round of tests during the summer period to reconfirm the consistency of quality, and now the results of this second round of tests has reconfirmed the conformity of Haleeb milk to the laid down quality standards. 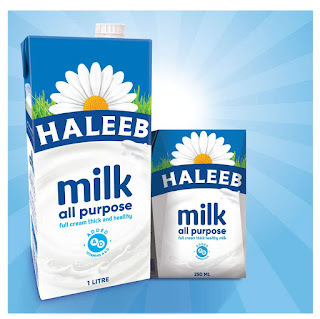 Haleeb Foods Limited CEO Memosh Khawaja said that the test results of the 2 laboratories engaged by the PFA have reconfirmed that Haleeb’s UHT packaged milk is of high quality and meets all applicable food safety standards. Memosh Khawaja also lauded PFA’s commitment to ensuring supply of safe and hygienic food and beverages for the public and stated that Haleeb Foods limited supports the PFA and other regulatory bodies in their work towards industry development. Haleeb Foods Limited (HFL) was established in 1984 and is considered to be a pioneer in the dairy sector of Pakistan. HFL operates two state-of-the-art dairy processing plants supported by a milk collection network of over 170 collection points. The current product portfolio comprises of Haleeb UHT Milk, Tea Max, All-Max, Dairy Queen as Tea Whiteners, UHT cream, Daizy Butter, Haleeb Asli Ghee, and Just Fruit in juice category. Haleeb’s production processes are certified in accordance with ISO 9001:2008 Quality Management system, ISO 22000:2005 Food Safety Management system, ISO 14001 Environment Management system, Halal Foods Management System and Pakistan Standards Quality Control Authority (PSQCA) licensing (Product certified). With a strong emphasis on hygiene, nutrition, health and well-being of its consumers, HFL uses world-class dairy processing methods. This includes milk collection from the best dairy farms, safe transportation, lab testing, pasteurization, clarification, homogenization, UHT treatment and aseptic storage before packaging and distribution.